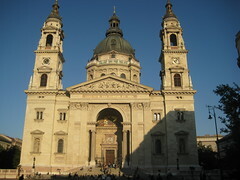 Right now we are in Budapest. We arrived late on Sunday and will leave early on Friday to go to a wedding of a relative of Rolland’s. For October the weather is awesome as you can see. I will hopefully upload a couple more pictures tonight. 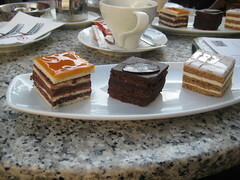 We had some cake at the Café Gerbeaud. We had ourselves a nice dinner at the “Jazz Garden” accompanied by live jazz music. Very enjoyable. Now we’re off to another much to late breakfast in the cute café of our hotel. 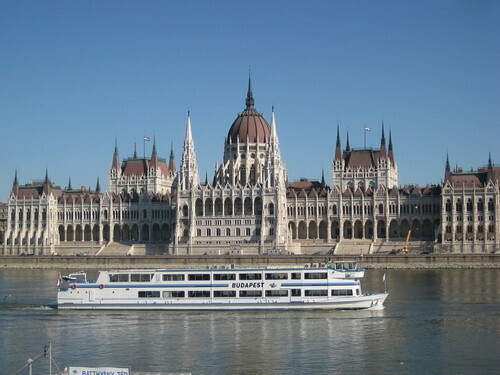 After that who knows what adventures await in Budapest.